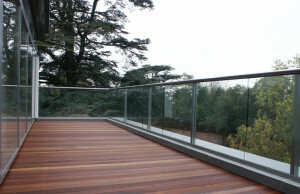 Luxury residential development balustrading project – Aylestone Hill, Hereford. 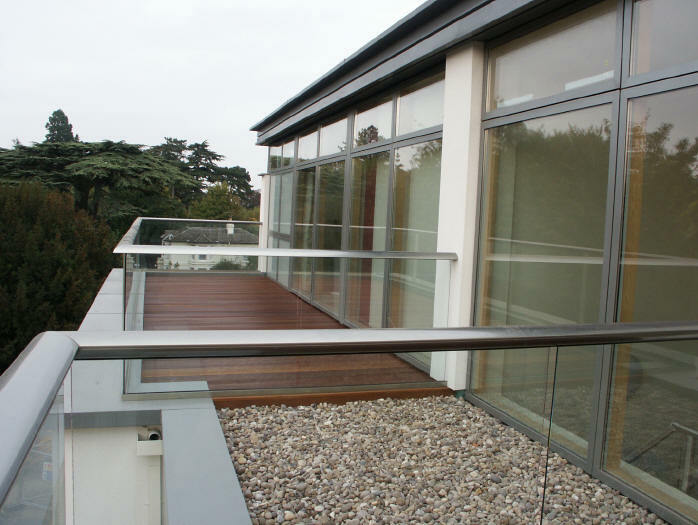 Aluminium and glass balconies are the modern, no-maintenance balustrading solution for contemporary new property developments of all shapes and sizes. Effi Wolff, Managing Director of balustrading specialists Balcony Systems Ltd highlights examples where balcony design is integral to the success of two newbuild projects. The Point is a new luxury residential development situated on a prominent 1.25-acre site at the top of Aylestone Hill, Hereford. Developer IE Developments Ltd selected Balcony’s new ‘Royal Chrome’ aluminium handrail finish for 88 metres of balustrading for the 12 apartments and two penthouses. Managing Director Tim Evans says the elegance and simplicity of the Balcony system complements the project’s aim of offering a practical, stylish and high quality living environment with minimal maintenance requirements. 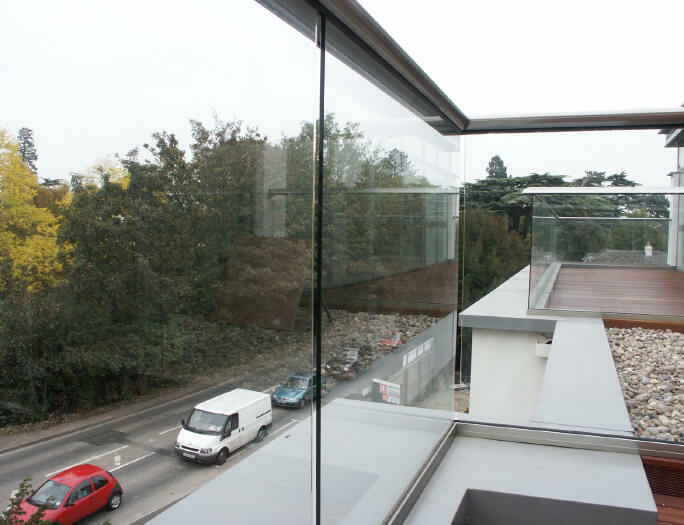 As the glass panels are fixed from the inside, any replacements can be done easily and safely from the balcony itself, rather than hiring costly and time-consuming scaffolding or ‘cherry pickers’. Tim adds: “Recent changes to the Construction (Design & Management) Regulations 2007 put the onus on builders and designers to incorporate greater health and safety considerations into what they build. 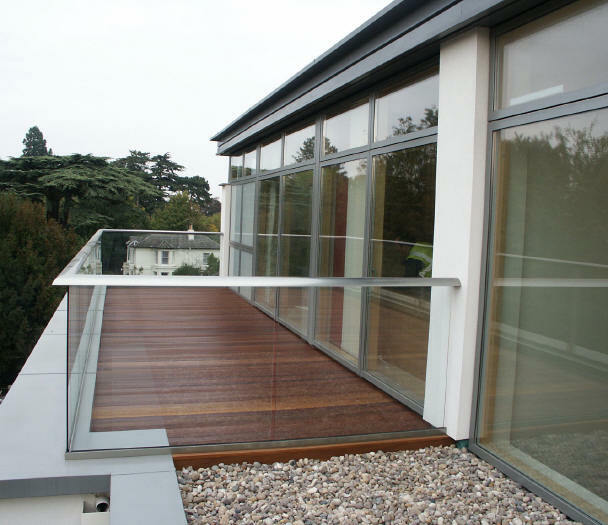 The Balcony system addresses the long-term practicalities and maintenance issues ti ensure compliance with the regulations. This is a real plus, as no one wants to go back to a job if things go wrong. 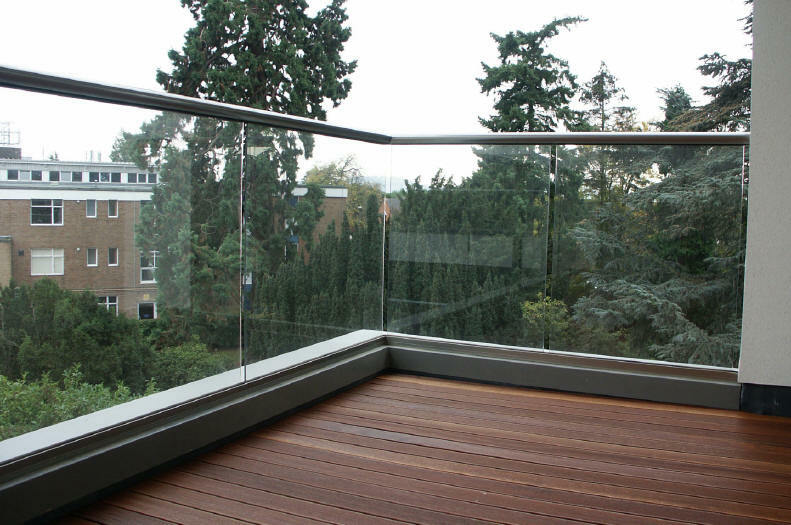 The Balcony system represents a real breakthrough for those seeking ab inspirational, affordable alternative to railings ar spindles and meets all relevant European and British Standards, including BS 6180 and BS 6399. As the system relies on the handrail to provide the required strengh, in many cases the glass blustrades require no vertical supports. This provides a clear view to the outside, looking like structural glazing at a fraction of the cost. The 10mm toughened glass panels are held securely top and bottom, with no need for unsightly clamps, clips or ‘lugs’ to spoil the look. 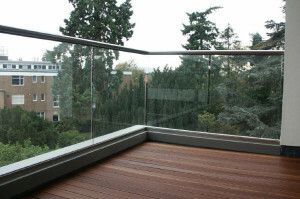 This structural integrity also allows for longer or wider runs without the need for posts or clamps, while Juliette balconies do not require vertical posts at all. Handrails are available in powder-coated white or anodized in silver, bronze or Roya Chrome, which looks like stainless steel, but without the associated discolouration problems. The system is compatible with timber, steel, stone, brick and concrete walls, making it suitable for all types of applications. It connects to walls using A2 or A4 stainless stee fixings with a permitted load line of 0.74 kN/m and a point load to infill of 1.0kN. Balcony also provided the technical advice and design criteria for curved balconies and curved sliding patio door access for two large penthouse apartments. “Having discussed the technical aspects with Balcony and learned about the curved sliding door system, which was very reasonably priced, we had our solution,” explains Dave Higgins, Projects Director at Wiggett Construction. “Before then, we had not been able to find an answer to the structural curves in glass/aluminium on the British market. 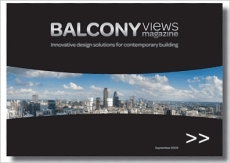 “Balcony’s solution is both aesthetically satisfying and achieved considerable economies on other quoted systems – none of which could deal with the curves. Their installation teams also integrated well with the contract programme and we are extremely satisfied with the company’s contribution to this successful project,” adds Dave. This entry was posted in Projects on November 20, 2013 by Balcony Systems.